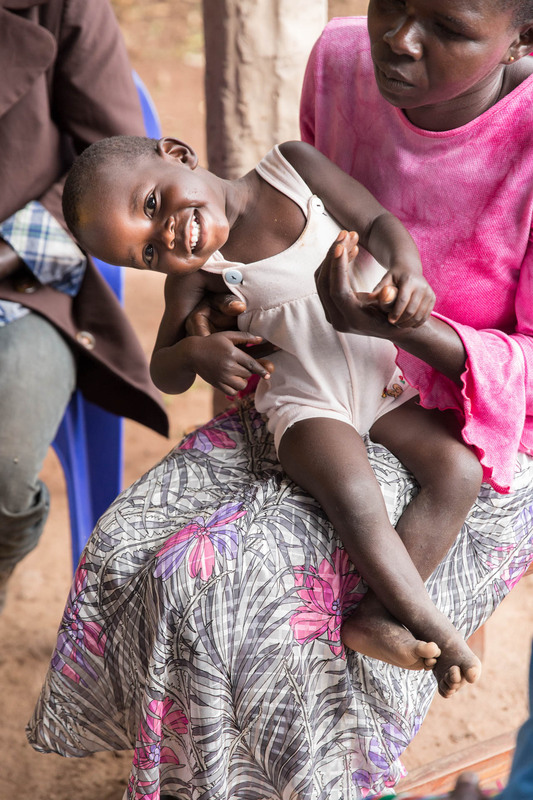 Learn about 18-month-old Sadrak and how vitamins have helped support his health. Meet Sadrak, a bubbly 18-month-old boy who craves the spotlight. According to his mom, Joan, he enjoys spending afternoons watching her and his uncle, Dickens, tend to their garden. While there may be some friendly competition between Joan and Dickens over who is the better gardener, there’s no denying that the garden, ripe with cassava, soybeans, sweet potatoes, greens, beans, maize and simsim (sesame seeds), is beautiful. The Vitamin Angels team was pleasantly surprised to learn that the family eats the majority of what is grown—it’s more common for families to sell precious crops and use the income to purchase staple foods like cassava in bulk. Sadrak started receiving vitamin A as soon as he was old enough, at six months of age. He continues to grow more energetic a result of his continued good health and increased appetite. Joan attributes some of the marked difference in Sadrak’s health--in comparison to her five older children--to his access to vitamin A and deworming. Joan told Vitamin Angels she feels “happy and at ease” because her child is so healthy; she is grateful she does not have to worry about his health.